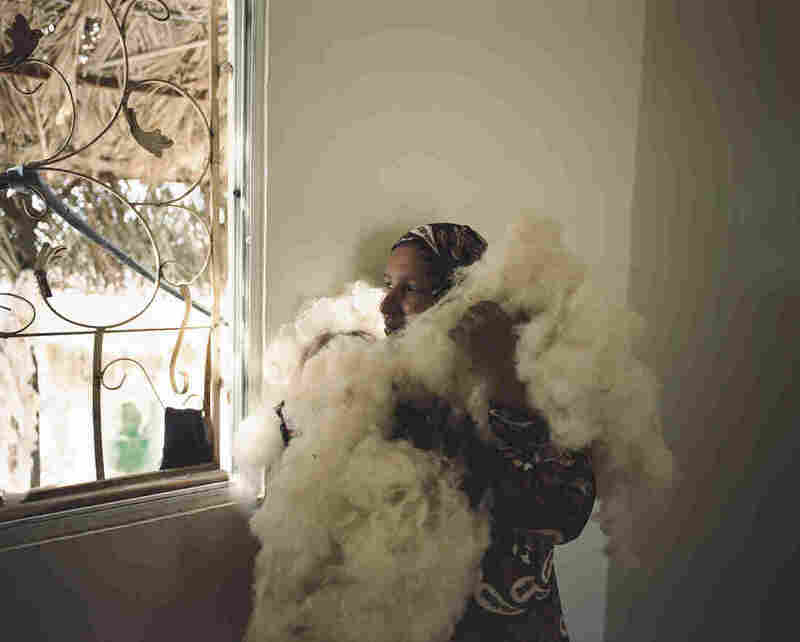 Infertile Crescent: A Photographer's Journey On Jordan's Borders : The Picture Show Curious about the changing landscape on her country's borders, Jordanian photographer Nadia Bseiso journeyed to the border of Jordan with Israel asking, "Is the crescent still fertile?" This land is not barren, this land is thirsty. Hot Springs, Jordan Valley, 2016. 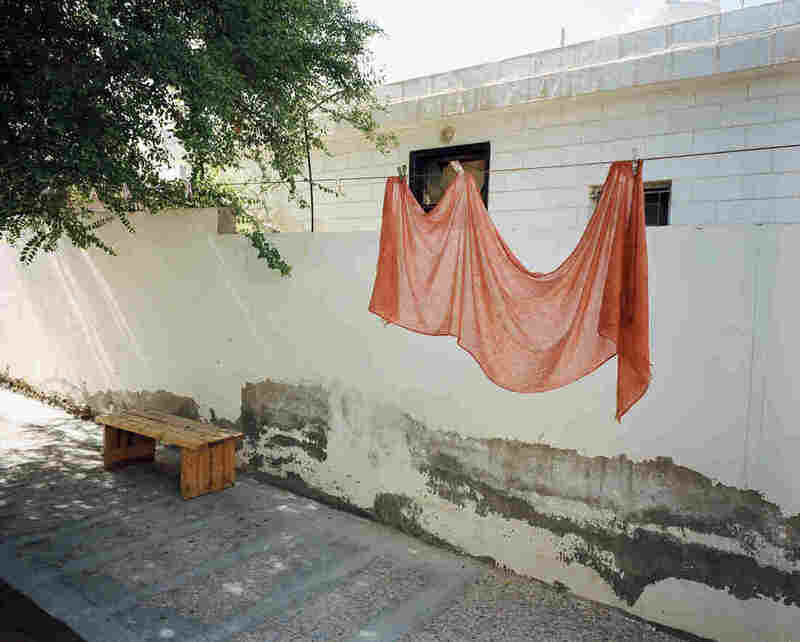 Curious about the changing landscape at her country's borders and the people who live there, Jordanian documentary photographer Nadia Bseiso journeyed to where Jordan meets Israel for the first part of her four-part series. Bseiso was eager to find out if the area called The Fertile Crescent of the Middle East was the same lush farming area it used to be. Bseiso also plans to explore Jordan's borders with Syria, Iraq and Saudi Arabia. Inside the mountains that hold the castle of Machaerus, thermal water escapes from the ground through the ancient port of Herod to cool down in the Dead Sea. Hot Springs, Jordan, 2017. For a few seconds, along the way, the spirits of revolters, hanged during the British Mandate exchange glances with the living, in eternal youth. Southern Jordan Valley, Jordan, 2017. 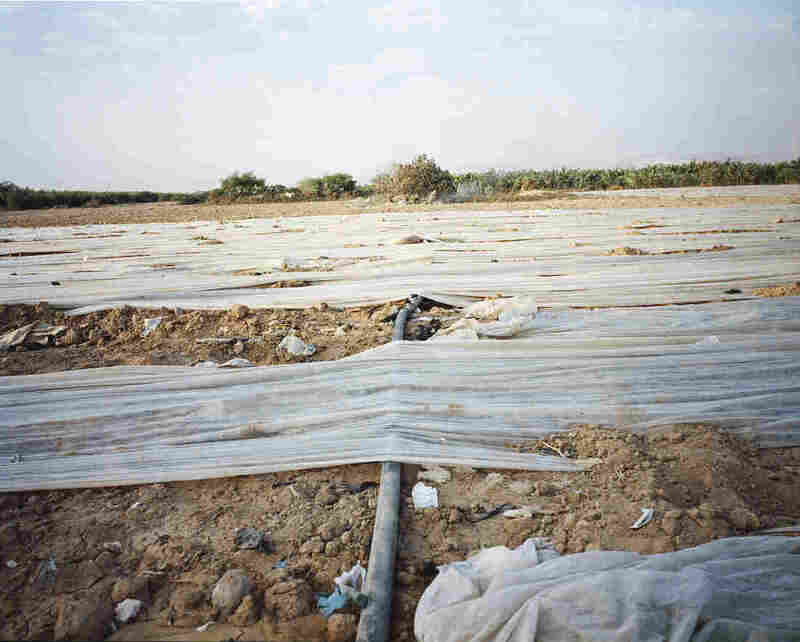 The first agricultural communities in the Middle East and the Mediterranean settled in this region. It was the start of Mesopotamia and the Levant. 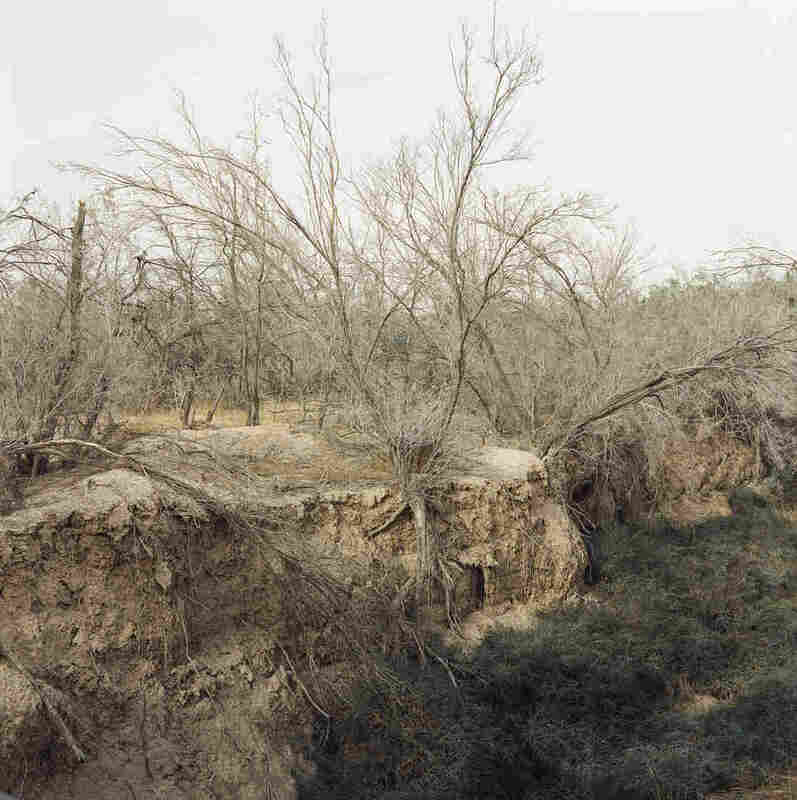 Once a landscape ripe for farming, the area is now endangered by a water crisis. Once upon a time, man played with fire. He crossed Mother Nature, created war and destruction. She waited for his redemption, to save her land, a once flourishing region. Southern Jordan Valley, Jordan, 2017. 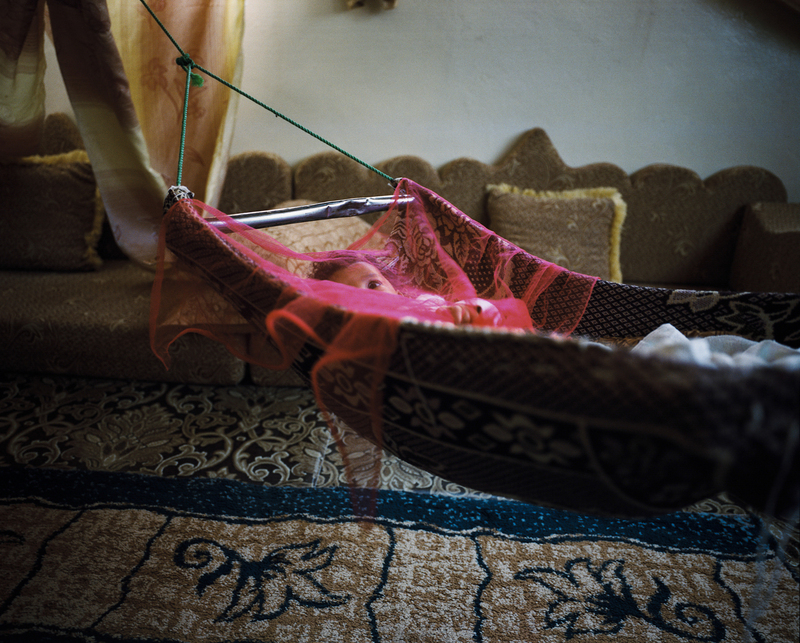 NPR's Amr Alfiky spoke with Bseiso about her journey documenting the Jordanian borders. Her answers have been edited for length and clarity. Amr Alfiky: What made you decide to do this project? 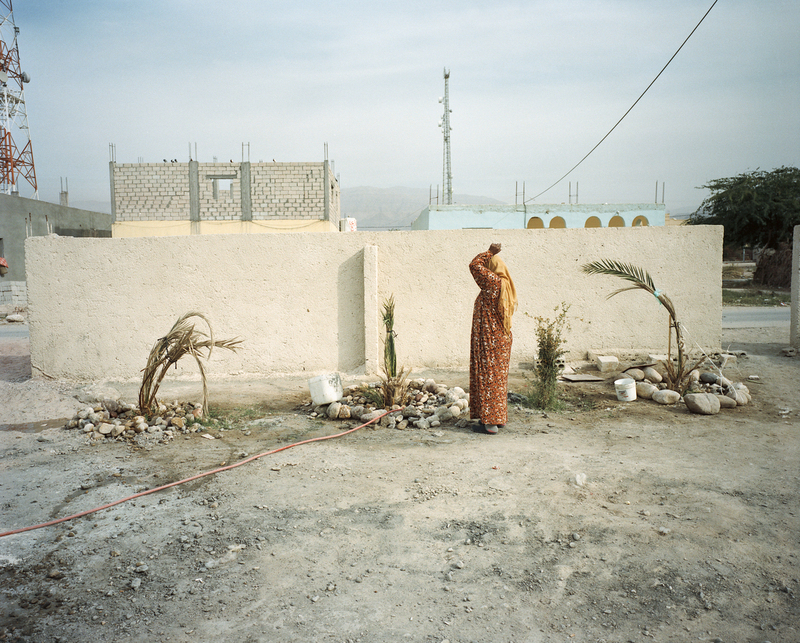 Nadia Bseiso: My projects are driven by curiosity that trigger research in history, geopolitics and mythology, and later transforming to a visual narrative. 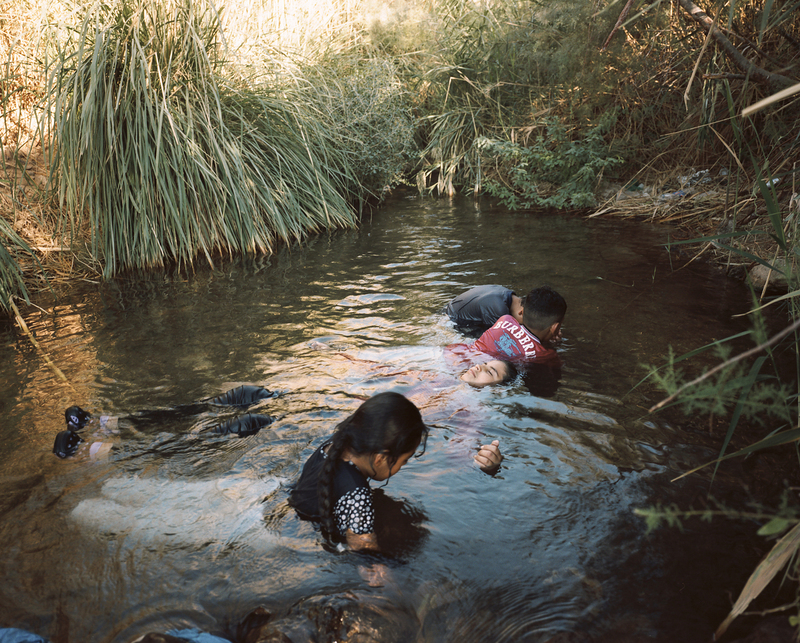 From identity to environmental degradation to man's maternal relation to land, I try to explore and provoke new questions about borders — from manmade borders to natural frontiers, to man's borders in the mind such as preconceptions. The spinner of dreams. Southern Jordan Valley, Jordan, 2017. Alfiky: How long did you spend working on this project? Bseiso: The project is a work in progress that started in 2016 and is divided into four chapters. Each chapter delves into the complexity of Jordanian geopolitics, since the establishment of Emirate of Transjordan in 1921, as well as its historical importance since biblical times. The first chapter focuses on the building of the Red-Dead Sea salvation pipeline, on the South West Jordanian/Israeli border. 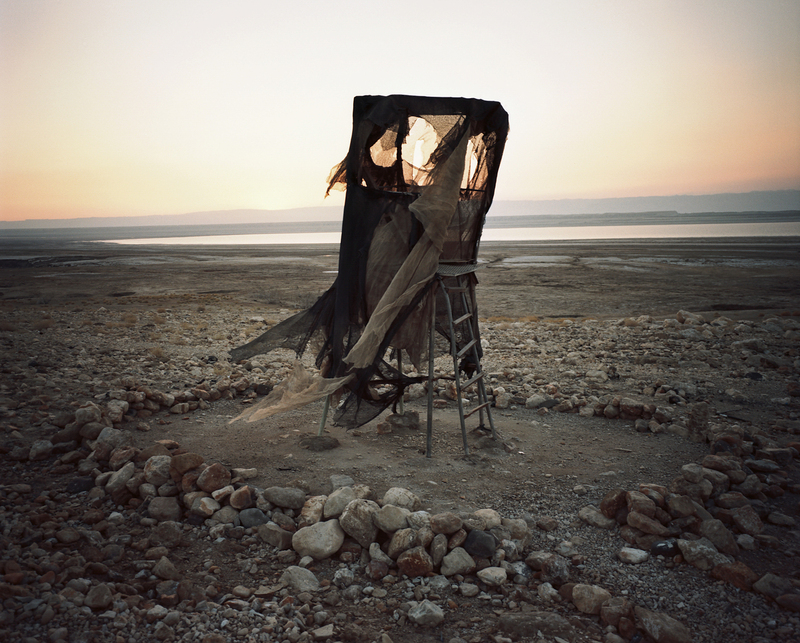 Among ancient legends of the Dead Sea, farmers danced around sinkholes of thistle and oases of potash. Shepherds near the Potash Factory. Southern Jordan Valley, Jordan, 2017. Alfiky: What do you hope will resonate or stick with people the most? Bseiso: I want people to see the lack of water resources as an indicator, and recognize the border villages as witnesses, to what the region once was, is now, and might be in the future. The project argues that man's maternal relation with land makes him directly affected by the region's political unrest and water deficiencies. For me, personally, the Arab world has always been connected by an invisible umbilical chord. Even if we have manmade borders, whatever happened around us is close to home. This land is not barren, this land is thirsty. 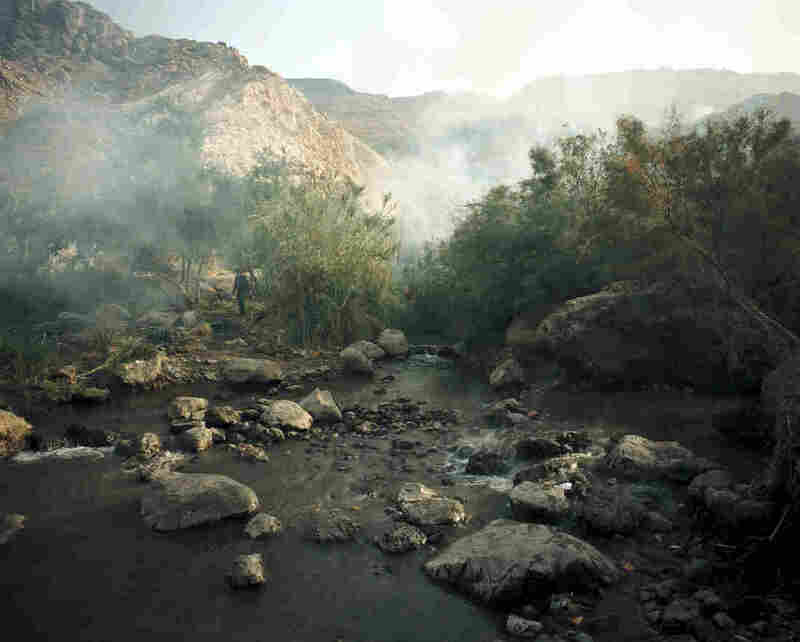 Baptism site, Jordan River, Jordan, 2015. An old wives' tale on the construction of a pipeline, where a geologist and a village idiot agree: The next war is a water war. Southern Jordan Valley, Jordan, 2017. Alfiky: What else do you recall from your extended journey? Bseiso: One time I was invited to a wedding in the Jordan Valley, and I was very excited to shoot. I reached the village after 2.5 hours of driving. Just as the wedding was about to start, the electricity went out in the whole village. It was pitch black, and whispers that the bride was cursed overshadowed the wedding. In less than a minute, every woman used their phone as a torch and there was light everywhere. Women cooking dinner were holding their phones in one hand and stirring big pots of cooked yogurt with the other. 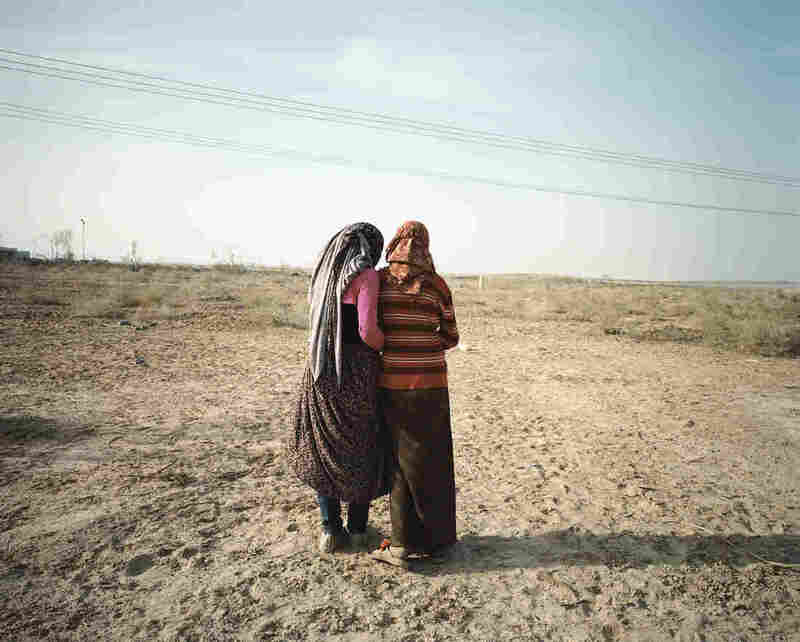 Women who couldn't bear children asked forgiveness. Mother Nature heard their tears and granted them children who were protected in their cradles under her trees. Southern Jordan Valley, Jordan, 2016. Salome's cries for redemption could not undo the beheading of John the Baptist nor curse the bride. Lights out, wedding is on. 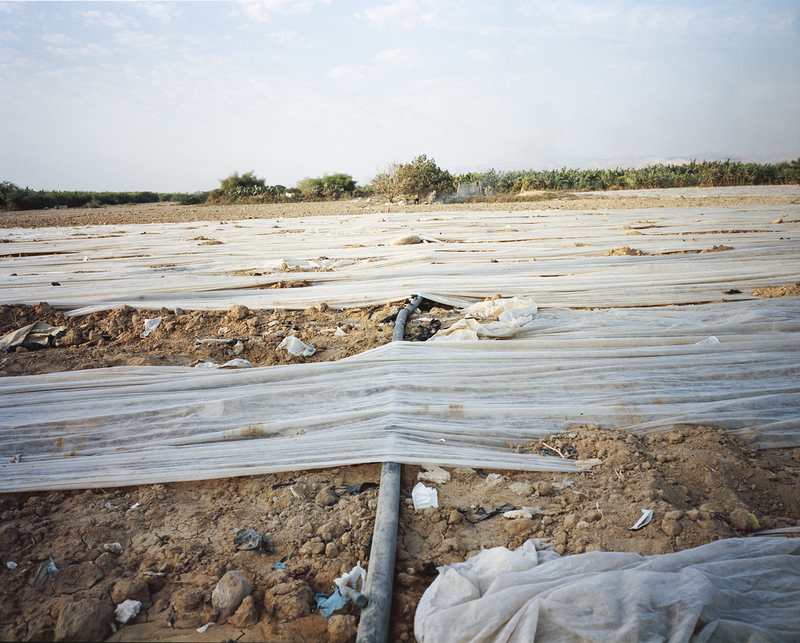 Jordan Valley, Jordan, 2016. Not only was the wedding a success, but music was blasting from cars instead of stereos. 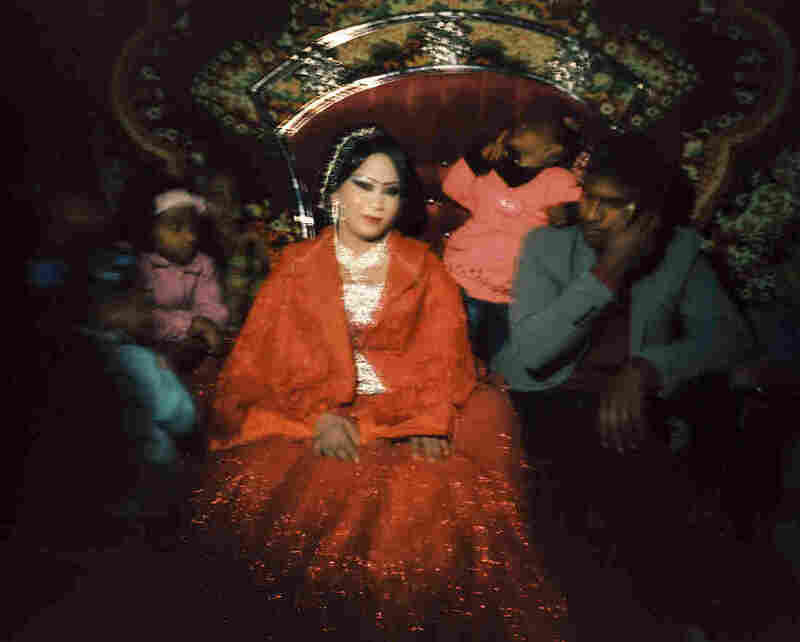 The big finale was when the bride came out dancing in a red dress resembling the biblical character Salome, who is infamous for asking for John the Baptist's head. Ironically, the execution happened in Machaerus, not so far away from this same village. As if the spirit of Salome found its way to this wedding, but did not manage to curse it. Along a valley of peace and a desert yearning the sea. Southern Jordan Valley, Jordan, 2017. 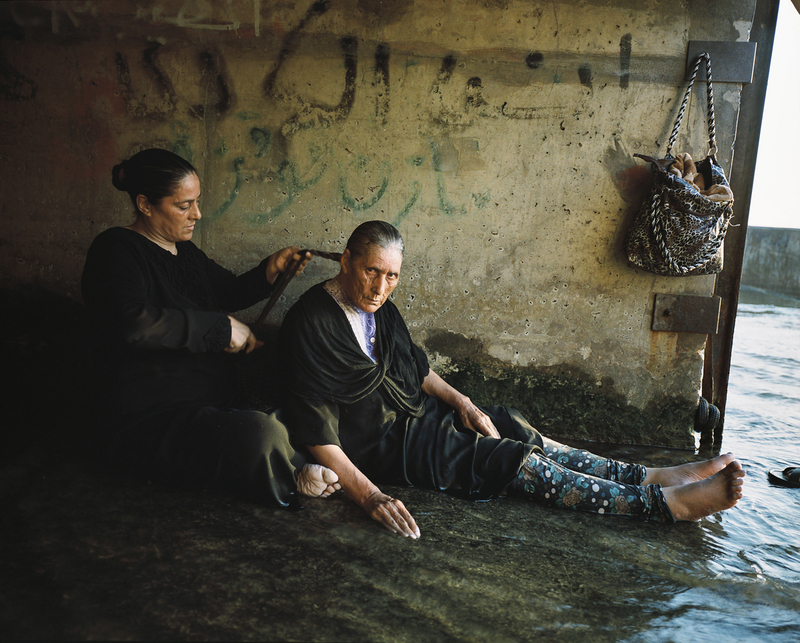 Nadia Bseiso is a Jordanian documentary photographer based in Amman. Amr Alfiky is NPR's photo intern.